There is no such thing as waterproof sunscreen. So says Dr. Neda Ashourian of the Northwestern Skin Cancer Institute, Ltd. Speaking before the hospital’s Healthy Transitions group, Dr. Ashourian said that the best you can get is water-resistant sunscreen. So reapply when you come out of the water. On that subject she said that when buying sunscreen to get SPF 30 or greater. It is critical to look for the terms Broad Spectrum on the container. If those words aren’t present, the sunscreen, no matter how high the SPF rating, may not protect you from the damaging Ultraviolet A (UVA) rays of the sun. Some other dangers from sun included – windows. The UVA rays can penetrate windows, but not the Ultraviolet B (UVB). 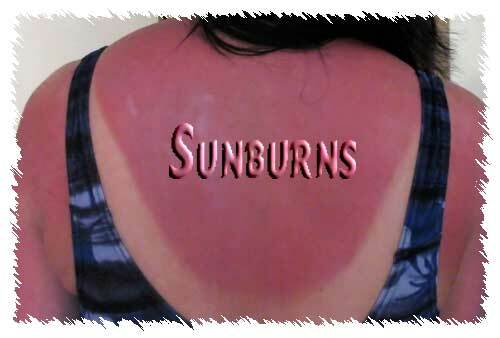 You can get sunburn on a cloudy day because 80 percent of the sun’s rays penetrate clouds and fog. At the beach sand reflects ultraviolet rays so you have to be doubly careful there and be certain that you have fresh sunscreen on. You need to reapply sunscreen after two hours because it wears off. Finally, the end of summer is not the end of danger from ultraviolet light. Snow reflects UV light so you need to protect your face when skiing or engaging in other outdoor activities. I have written about sunburn several times in the past couple of weeks and I want to reiterate probably the most important concept I have learned, namely there is no such thing as a healthy tan. I am disturbed to realize that as I have always prided myself on the nice tan that I got out riding in the sun. But, a “nice tan” is the siren song of skin cancer. Pay her no heed. On a related subject, please check out my Page – How to Deal With Extreme Heat. Thanks. I’ll make sure to look for the term “Broad Spectrum” next time I buy sunscreen. Thanks for your comment. Happy to help. Thank you for writing about this topic. If your readers follow your advice, it will save many lives from dangerous diagnoses. Thanks, Doctor Jonathan. You are right about the sun generating Vitamin D. The trick is to limit your exposure. I appreciate your comments.